Over the past 35 years, Washington Apple Pi has published countless articles and answered countless Q&A session questions about computer health. There have also been articles and presentations on your health as you use the computer, stressing taking breaks and using ergonomic furniture. Now a new age is dawning, an age in which your computer takes an active role in keeping you healthy. This isn't exactly a new idea; over 30 years ago, there were programs on the Apple II and TRS-80 that charted your biorhythms and, for those wanting a family, attempted to predict peak periods of fertility. In 2013, you can go well beyond those capabilities, using specialized devices that talk to your Mac (or iPhone or iPad), and a growing number of science-based web sites for tracking health. As for why you need it: until the 19th century, virtually every human activity required either human or animal muscle. If you wanted to travel, you either walked, or rode in an animal-powered cart, or rode an animal. Even wind-powered vessels required human muscles to hoist and lower sails, raise masts, and move rudders. Gathering food, fixing meals and cleaning clothing and the home filled an entire day with muscle-powered activity. Work for pay, for the vast majority of humanity, meant hard physical labor. Since then, at least in the industrial world, animal and human muscle power has been steadily replaced with mechanical, electrical, and chemical power. We burn billions of tons of chemicals to power our cars, ships and planes; consume mountains of coal to power our electric lights; and frequently spend all day “working” at a desk, without ever lifting something heavier than a stack of paper. On the one hand, the move from muscle to mechanical power has drastically reduced the number of home and workplace deaths and injuries, greatly increasing life expectancy. On the other hand, we don’t get enough physical activity to remain healthy. Apple first got into health almost by accident, with the release of Nike+ for the iPod in 2006. 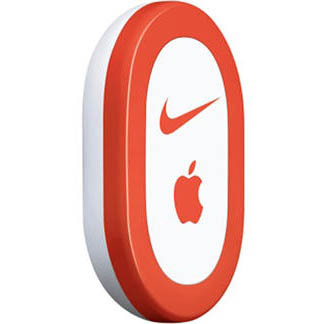 A partnership between Apple and Nike, the Nike+ device was designed to be clipped to the laces of running shoes, or embedded in a pocket in the shoe. It recorded the pace, calories, elapsed time and distance of a run or workout, with the bonus that the user could listen to music at the same time they were exercising. The user then logged into a Nike website to see the results. Apple still sells the Nike+ sensor. The original Nike+ iPod sensor (still sold by Apple) is designed to be clipped to or tucked into running shoes to track your activity. With the introduction of the iPhone, Apple made some modifications that allowed the Nike+ sensor to be use with their new phone. The combination of an exercise tracker and a powerful mobile computer disguised as a phone proved to be a winner. Later still, Apple added the Nike+ technology to various models of the iPod nano and iPod touch. While it is a little publicized function, using an iPod nano as a pedometer was a stroke of genius: set it up to record, and it will record your steps. Recording steps doesn't interfere with other functions, so you can still listen to music, or the radio, or whatever other functions your version of the nano might offer. Not only does it record your steps, it automatically logs them into a calendar, right on the iPod. When you sync the nano to your Mac via iTunes, iTunes offers to link you to the Nike+ Web site, where your activity can be uploaded and you can see how well you are doing compared to others in the Nike+ community. 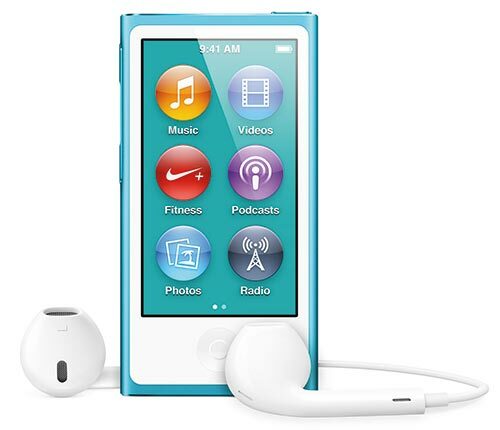 The current iPod nano includes a Nike+ application that works with the built-in accelerometer to measure your activity while you chill out to the built-in radio or your stored music. A number of apps for the iPod touch and iPhone have similar capabilities, but don't work quite as well, and cost more, too. Considering that a nano costs not much more than a decent pedometer, this is a function worth exploring. Alas, Nike made some drastic changes to their website last year, promoting their non-standard “Nike Fuel” idea in replace of more standard metrics like steps. But other vendors have stepped in with new devices to take advantage of your Mac to help with your help.